Our steel kits are designed on computer and cut very accurately by C.N.C profilers. This new technology enables a more efficient building process and up to fifty percent labour savings can be anticipated. The plating is of a developed shape and requires only simple bending or rolling to fit. Accuracy in cut of the plasma profiles is +-3mm over 8 metres. The numbered pieces come with reference notches to enable straightforward assembly. Time-consuming tasks of lofting, templating and cutting out are no longer required. Simple tools only are needed as much of the labour-intensive, skilled work has already been completed. Drawings are supplied showing the assembly sequence and parts description. A list of further materials like flatbar, rubband, angle iron sole bearers are also included, as well as weldmet specifications and lines plan. On completing the construction, the surfaces are cleaned up before further applications of paint. This method ensures an exellent foundation for longer term corrosion protection. This enables high performance epoxy or polyurethane paints to be used. 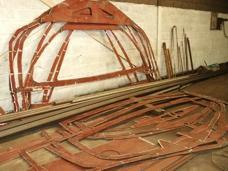 Once assembled using appropriate skills and materials the kit will conform to the R.C.D. 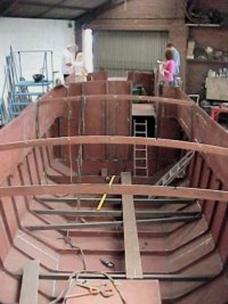 This body looks at all aspects of the boat design and construction with the emphasis on safety. A boat which is placed on the open market for sale must meet R.C.D. requirements and the responsability for this is usually the builder! Branson Boats designs can be certified as complying with the R.C.D on final completion only. It must be made clear, however that building the boat from the steel plate stage onwards is outside Branson Boats' control. 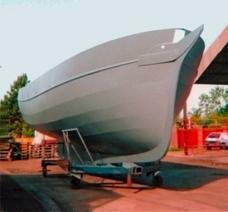 Therefore, the designs are offered as meeting their R.C.D category for strength and stability, providing the boat is completed by the builder using the appropriate skills and materials as required by the R.C.D. To help with compliance we have in conjunction with CE Proof produced stability calculations and structural scantlings. Notes about other aspects which should be incorporated into this document are also included. In order to achieve category C or B of the R.C.D (seagoing) a notified body will need to be involved. This can cost a few thousand pounds but the background material provided will, hopefully, reduce the work load and therefore the cost. 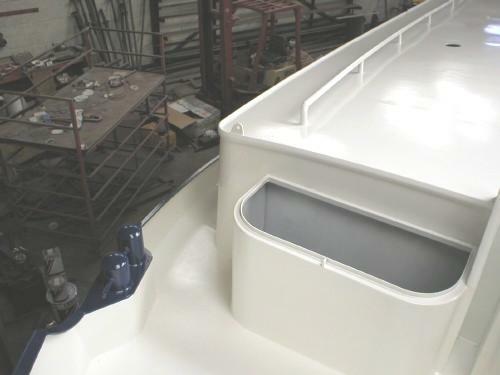 The kits can be shipped worldwide and are accessible to professional and amateur boat builders alike. Delivery of the kits is free within the UK mainland, but unloading is the customers responsibility along with making sure they have the correct equipment for safe unloading. The steel is to Lloyds grade "A" certificated sheet. 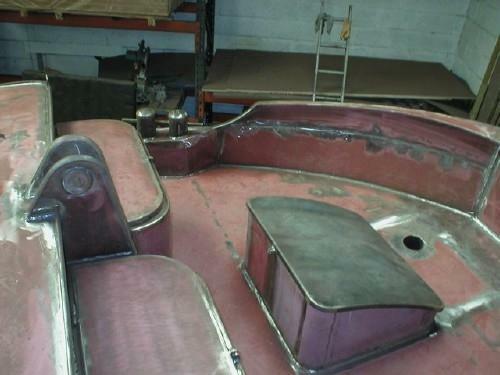 The kits can include such details as integral tanks and Schilling type rudders.